Shiver, shiver, shiver … it’s that time of the year again … when teeth chatter, breath fogs and goose bumps pop. Lucky for us, we can put on an extra coat or go into a warm house. But what about our four-legged friends, who have only one coat to get them through summer and winter? How do we keep them warm? Here are four easy ways to ensure your pets stay warm during Mother Nature’s long dance with Old Man Winter. Get a shelter big enough for a cat but not big enough for a dog, raccoon, possum, skunk or other unwanted animal. Place some straw in the home for extra warmth. Try to put the shelter in an area protected from the wind and elements. This will help avoid cold drafts. Here are a few different outdoor shelters and houses that you can purchase for use outside your home. Also keep in mind you can build your own cat shelter. 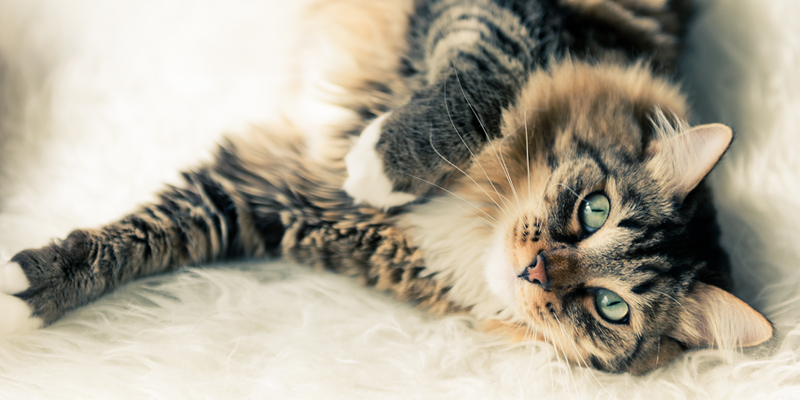 In winter, it is important to increase your cats food supply and give them a lot of high-quality proteins. This will help them keep their coats healthy and thick throughout the wintertime months. If you make food and water available outside in cold conditions, don’t use metal bowls. You don’t want Fluffy’s tongue frozen to the metal—even if she is triple-dog dared! Also, be sure to regularly check the water bowl to make sure it is not freezing over. This one is pretty simple. When the weather gets cold, let your cat outdoors less. 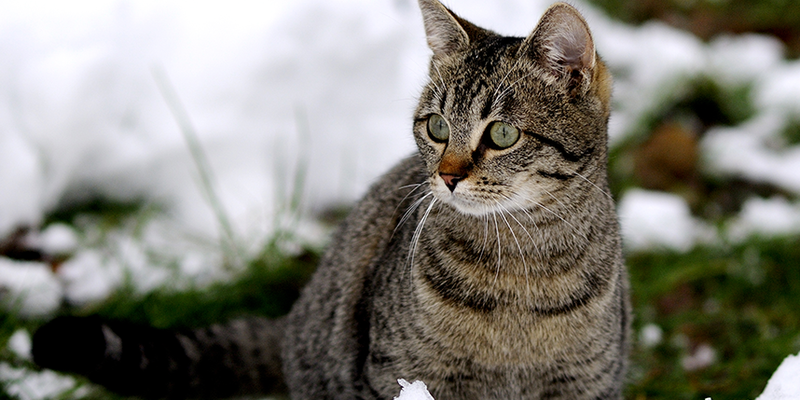 When the temperature starts to bottom out, be aware of how long your cat has been outside. Set a time period from when you let your cat out to when you think they should come back in. 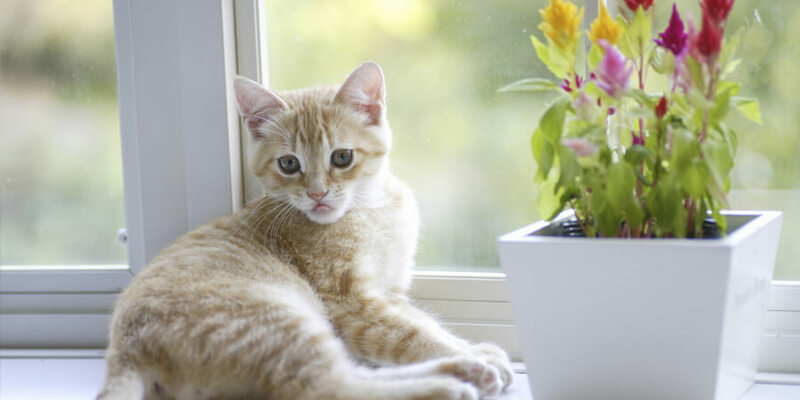 For example, if the weather is really cold and you let your cat out at 4, set a timer to let it back in at 4:15.Unlike in summer, spring and fall, when it is more comfortable for your cat to wait outside, the winter can be a dangerous time to leave a kitty waiting around for you to open the door, which leads us to our next tip. Get an outdoor camera. That way you can see if your cat is at your door from the convenience of your computer. We recommend the Logitech Outdoor Camera. Install a motion detector. You can turn on the motion detector every time you let your cats out so that you get alerted as soon as they come back to the door. You can get a fairly inexpensive motion detector like this outdoor motion sensor and set it the appropriate area and height level to detect your cat. Alright folks, button up and have a happy winter season! For all you cute-as-a-button cats, stay safe … and stay warm!